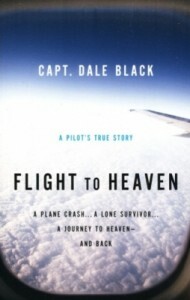 This book was written by a Captain Dale Black, who survived a plane crash as a teenager. Not long ago, I wrote a review of the book Proof of Heaven. It was written by a neurosurgeon who was convinced that he had died and gone to heaven. I expressed quite a bit of skepticism, for reasons that are discussed in the review. Shortly after, I got an email from a reader who suggested what he considered to be a better book, Flight to Heaven. I put the book into my “queue” and finally got a chance to read it while I was in Central America. I agree with the commenter that this is a much better book, but I am a bit skeptical that the author, Captain Dale Black, actually went to heaven. Captain Black is currently a retired airline pilot who owns a real estate company with his wife. He has two grown children and has worked tirelessly to improve aviation safety. He has also flown as a missionary pilot in 50 different countries. Indeed, the book starts with a harrowing experience he had while flying for missionary purposes in Africa. He sets up the desperate situation and uses it to introduce the airplane crash that caused what he thinks was his visit to heaven. Once he completes the retelling of the crash, his visit, and his recovery, he resolves the book by finishing the opening tale about his experience flying in Africa. It is an exciting way of getting the reader hooked early on in the book. When Dale Black was nineteen, he had his pilot’s license. He had wanted to be a pilot for quite some time, and he worked hard earning the money necessary to take the required classes. He wasn’t ready to fly jets yet, but he was able to be part of a three-man group that was flying a twin-engine cargo plane making several deliveries throughout California. Upon takeoff, the plane couldn’t get enough lift, and it crashed into, ironically, a monument built to honor the pioneers of aviation who had passed on. Of the three-man team, Dale Black was the lone survivor. This book is about a lot of things. It is about a young man who didn’t understand why God allowed him to survive the crash. It is about the guilt he experienced at being accused of causing the crash. Later investigations would show it wasn’t his fault, but he didn’t learn about that for many years. It is about a young man trying to piece together memories from a truly horrific accident during a long, torturous recovery. It is about a teenager who was able to recover more than any doctor ever thought he would. Most importantly, however, it is about how a catastrophic event changed a teenage boy from a self-centered kid into a real man of God. He says that he had accepted Jesus as a kid, but as a teenager, he was focused on himself. This experience of feeling overwhelming love for another person was completely new to him, and it happened over and over again after the accident. As his recovery continued, he started piecing together his memories, and he realized that the reason he was experiencing these feelings was that he had visited heaven. He was at first very frightened to tell anyone about this, but he eventually confided in his grandfather, who wisely told him that instead of telling people about his visit to heaven, he should allow his actions to show that he had such an experience. For many, many years, he followed his grandfather’s advice. 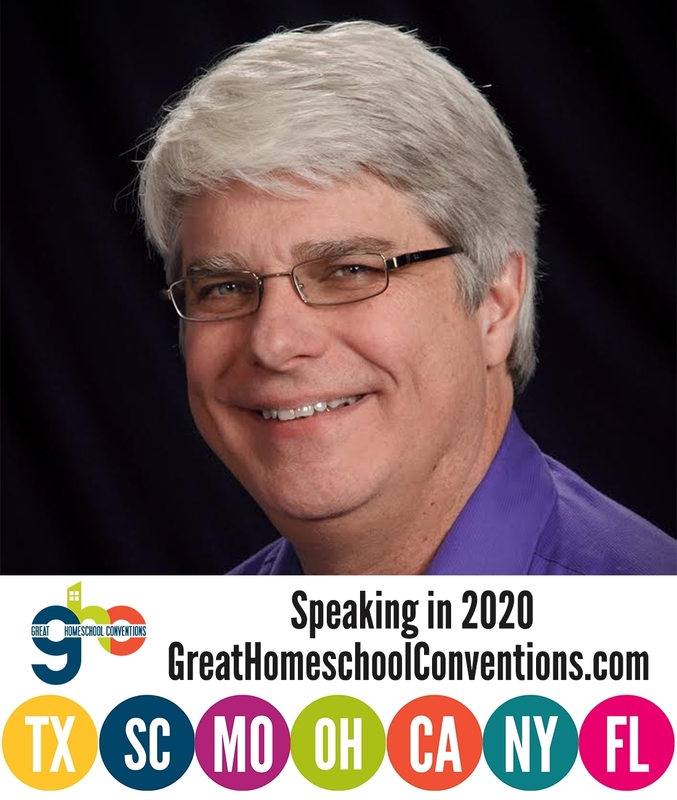 However, much later in life, he and his wife decided that a series of events were orchestrated by God to show that it was time to tell his story. That’s why he wrote the book. When Jesus spoke about going back to His Father to prepare a place for us (John 14:1-3), I can imagine that these dwellings were exactly what he was talking about. I find Captain Black’s description of heaven much more believable than what is given in Proof of Heaven. Some of that, of course, is because it is more consistent with the Bible. However, I think there are other reasons as well. His account sounds more like someone trying to describe a real experience of unimaginable wonder. In addition, Dale Black’s dramatically changed life testifies to the fact that something truly genuine happened to him. At the same time, however, two things bother me about the account. First, it took a long, long time for him to remember his trip to heaven. I understand that he had severe brain injuries that affected all of his memories. Indeed, it took him a long time to remember really important people in his life, much less events that took place before and during the accident. At the same time, however, when a person pieces together a story over a long time, it is easy for honest mistakes to be made. What Dale Black truly thinks happened to him during his accident could be the result of suggestions and images that came from people, dreams, movies, etc. before the accident and during his recovery. Second, it really bothers me that he decided to tell his story now. Neither he nor his wife (who wrote the last section of the book) explain exactly what series of events led them to decide to go against his grandfather’s advice and now publicly share his story. I can believe that such a thing could happen. After all, God chooses for things to happen in His time, not ours. However, I guess I would be more comfortable if I knew exactly what events prompted them to share the story publicly. So as far as I see it, here is the bottom line: Something truly miraculous happened to him. His changed life and the things he has done since the accident clearly show this. Was it a visit to heaven? Perhaps. If nothing else, it was a very close encounter with the Most High. That, in and of itself, makes it worth reading the book. Many years ago I also experienced something that that seemed truly miraculous….a very deep and pure moment of being in the presence of God. I won’t get into the details here, but to this day I truly feel I was touched in a spiritual way….. It was the most real and beautiful thing that has ever happened to me and I still think about it almost every day. But the thing is, I’ve never talked to anyone about it….even my wife….well, she knows something happened but I never shared any of the details with her. For one thing, talking about it would almost certainly cheapen it…..but also I could never convey what actually happened and it would probably come off sounding hokey or like I was crazy. I remember my first and only initial reaction from the event was me saying “Why, Lord did you do this to me.”……It was a penetrating statement that probably echoed the emotions of Thomas when he said “My Lord and my God,” after he touched Jesus. Anyway, it was after that encounter that I started a new life journey of investigating the meaning of life, the issue of evolution/creation and other important questions….it was a few months later that I came to the conclusion that the theory of evolution was absolute nonsense, which coincided with a true belief that I was indeed a miraculous creation, who was formed to have a relationship with Christ….and that’s when I became a Christian. but to the point of my post and to your OP, relaying the actual experience I had to another person would be quite difficult….especially without coming off sounding like I’m crazy….it’s for this reason I’ve always thought it be best to keep my experience personal. But I can also understand the excitement of wanting to share the story….. Therefore I would just suggest that anyone reading the words of someone who claims to have had an experience to just give them a little latitude….it may sound crazy…it may sound hokey..it may sound unbelievable, but that doesn’t mean something amazing didn’t happen. Thanks for your thoughts, ss. I really appreciate you sharing how it relates to your own life! This looks like a good read. I will check it out. Another great near death experience book to check out is “Held By The Hand Of God: Why Am I Alive” by Joe Laws http://heldbythehandofgod.com/. His story is definitely modern medicine at its finest. Thanks for the suggestion, Betty.